With over 15 million brands and companies on Facebook and the number of users steadily topping over a billion, its imperative that companies practices the most engaging tactics to ensure their brands’ posts land on the top of their Facebook fans’ News Feeds. Marketers need to start with a strategic road map and tactical plan. 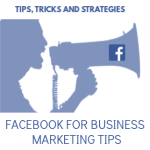 Listed below are 15 proven Facebook marketing tips that will help you optimize your Facebook marketing strategy. Know Why Your There – Before you set-up your Facebook page, think about how you will use Facebook to support your business goals. Next, create a strategy to support those goals. Think Visually – Posts, including photos, video and photo albums typically create greater engagement. Include keyword relevant captions, photo descriptions and website links in your albums. Use Larger Images – Optimize images for the 403 x 403 pixel display in the timeline. Larger images typically get more likes, shares and comments. Customize Profile Image and Cover Photo – Both should capture the culture and essence of your brand. Update your cover image regularly — it makes that all-important first impression and can be used to showcase key messages and products, as well as branding. Post Regularly – Create a content calendar and schedule your posts. Post at least once a day, seven days a week. Be Succinct – Express your core message within the first 90 characters and keep your post to less than 250 total characters to optimize readership in the newsfeed. Track with Google Analytics – When you use custom URL’s to link to your website, you can track the click through rate to your website with Google Analytics. Add a Call to Action to Your Cover Image – You can choose from one of the following options — “Sign Up,” “Shop Now,” “Contact Us,” “Book Now,” “Use App,” “Watch Video,” and “Play Game” — and customize it with a URL of your choosing. Include Links in the Beginning of Posts: Updates that contain links, be sure to place the link before the end of the fifth line of text — that’s where Facebook will truncate it and add a “see more” tag. 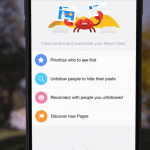 This ensures your fans will see the link in their newsfeed and won’t have to click “see more” in order to access your link. 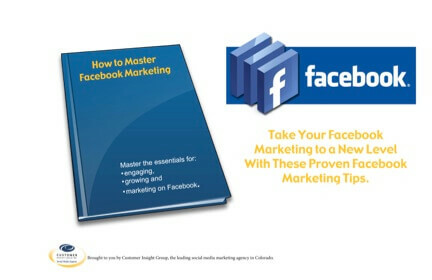 Use Apps to Create Customized Pages – Give your fans a reason to come back with customized Facebook apps. 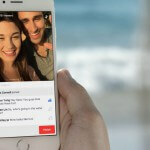 Apps now include photos, videos, notes, events and more than 3,000 other options to customize your Facebook Page. Encourage Interaction – Let your fans know how to engage with your content. Should they like the post? Share with friends? Comment? Answer a question? And most important, recognize your fans’ contributions. Respond, No Matter What – Reply to negative feedback quickly. You may not be able to immediately resolve the issue, but your response shows respect and understanding for customers’ concerns and will indicate your intention to rectify. Involve Customers with Questions – Ask your fans to share their opinions and their preferences. Every customer wants to be heard. Polls, fill in the blank and by a show of “likes” lifestyle questions let them use their voice in the comments. Provide Value – Give your fans a reason to interact, like and comment by providing valuable tips, ideas and engaging photos. Monitor – Use Facebook Insights on at least a monthly basis to see how your page is performing against your goals and KPIs. Facebook Insights gives you actionable information on what content is most engaging your fans, what times of the day/week you should post, and even identifying your most influential fans.